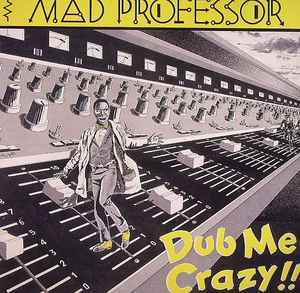 Mad Professor ‎– Dub Me Crazy !! When Neil Frazer's Dub Me Crazy style hit the scene in 1982, it was refreshingly modern, cool and heavy, with new unused backings, and full of a sort of over-the top humour, sometimes ironic to the genre itself. This is the first one in a row of Mad Professor dubs and similar cuts by the associated Ariwa artists. Of all the Mad Prof stuff, this one really stands out for originality, and deserves recommendation. John Peel used to play a lot of Mad Prof, and mentioned in one show that "(despite all the weird treatments on his albums...) he sounded rather sane when I talked to him on the phone..."